Do you use Intuit® QuickBooks® but are baffled by how to set up payroll? Do you wonder if you have your settings configured correctly or if you have all of the forms you need? Do you spend too much time each pay period struggling to get payments made? If so, then you are not alone. Every day people just like you work hard to figure out how to use one of the most essential functions of this robust, but sometimes confusing program. Don’t give up – we can help. Intuit QuickBooks® is the premiere accounting software package for small and mid-sized businesses today. It simplifies and streamlines the accounting process, but has its quirks like any software. When it comes to your finances, those quirks can be costly – both in time and money. This one-hour online class will answer your questions and clear up confusion when it comes to payroll and payroll management. We’ll help you understand what you need to get started, who your employees and other payees are, your various options and settings, how to enter and manage payments and point you to resources where you can find even more information. The course is perfect for anyone who uses QuickBooks regularly. Who should be paid payroll as an internal employee and who is a contractor. Understand the differences and how they are handled in QuickBooks. Distinguish several things you need to know about your company before you can even get started executing payroll. There are several options for handling payroll in QuickBooks - Intuit has several choices or you may elect to do it all yourself. Learn the advantages and disadvantages to each. Walk through the payroll set up guidelines to get all the t’s crossed and i’s dotted. Complete all the forms and information needed to begin using QuickBooks to enter payroll. How to enter transactions, taxes, bonuses, etc. Useful websites for getting the forms you need. 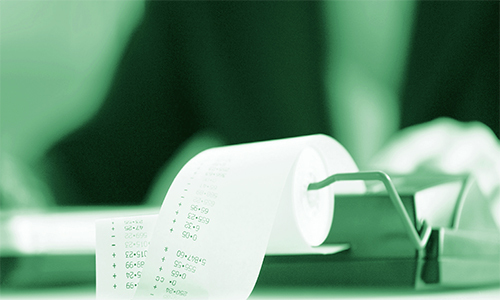 Many of your payroll responsibilities can be handled oline, like paying your payroll taxes. This webinar is perfect for business professionals in payroll, bookkeeping, accounts payable and other positions with financial responsibility. It is ideal for anyone — whether you are a beginner or an experienced user.